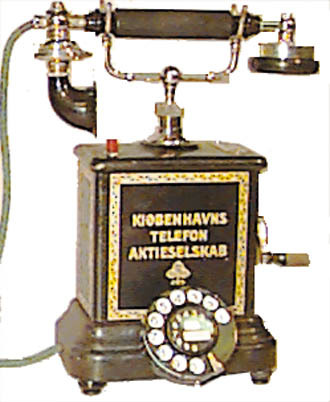 This elegant phone graced the homes in many parts of Europe, especially Scandinavian countries. We were fortunate to find a quantity of these phones that had the original finish intact. These phones have not been repainted so we could leave the original decals intact. The dials have been carefully cleaned and calibrated to give years of trouble free service. This elegant European phone has had a modular end added to the line cord and is ready to be plugged into your home phone system. There is a 30 day return privilege.